After at least 25 years of pouring and ageing you take the first barrel the amount in traditional balm vinegar Reggio Emilia whom you think to use during the year. The ageing time of the Balsamico with silver seal must be at least 25 years. 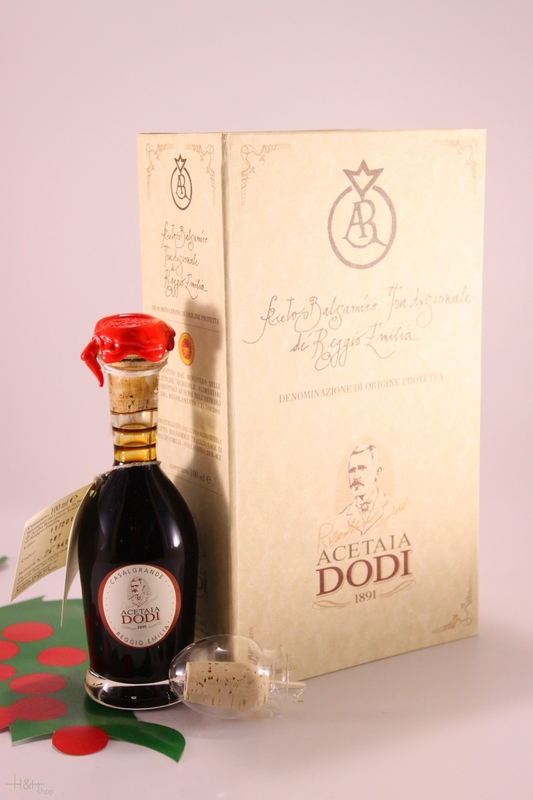 Buy now this product together with Balm Vinegar Balsamico Riserva di Famiglia Dodi Dodi Acetaia 500 ml. ready for shipment: in stock Balm Vinegar Balsamico Riserva di Famiglia Dodi Dodi Acetaia 500 ml.